Joshua Kaufman – Senior Vice President, Retail and Commercial Development, Dream Unlimited Corp.
Joshua Kaufman is the Vice President of Retail and Commercial Development. He has 15 years of experience within the real estate industry specializing in land and retail shopping centre development. 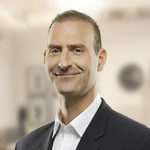 Prior to joining the company, Mr. Kaufman was the Vice President of Land Development at Smartcentres, one of Canada’s largest shopping centre developers and operators. Mr. Kaufman was responsible for a development program of more than 8 million square feet of retail space in Ontario which included acquisition, land entitlements, design development, leasing and construction. His most notable achievement is Toronto Premium Outlets, Canada’s first new format Outlet Mall developed on behalf of Calloway REIT and Simon Properties.